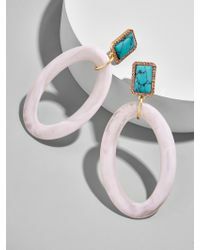 We check over 450 stores daily and we last saw this product for £12 at BaubleBar. Diamond Three Stone Earrings In 14k Yellow Gold, .25 Ct. T.w. 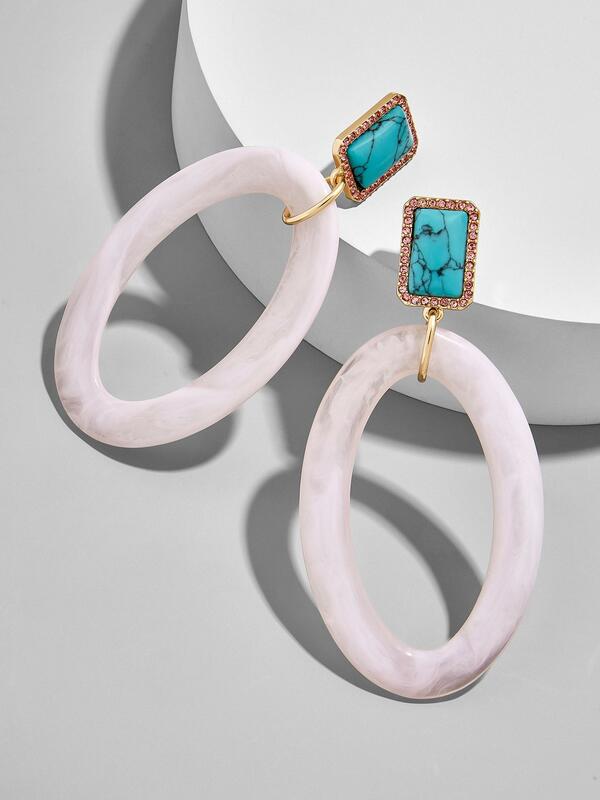 Colour your world fabulous with these modern hoop resin earrings that boast a feminine palette and turquoise cabochons trimmed with pavé. Stones may show surface variance. Zinc casting, epoxy hoop, glass and reconstitured turquoise stones, surgical steel posts. Shiny gold plating. Post back. Hypoallergenic. 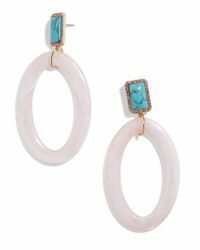 Length: 3.80"; width: 1.80". Weight:. 35 oz.